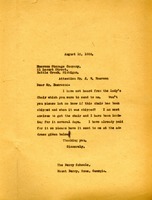 Letter to Emerson Storage Company, attention of J. V. Emerson, from The Berry Schools asking him about a Lady's chair that she had not received yet. She informs him that she has been looking for the chair for several days and that she has already paid for it. 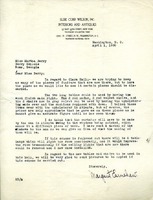 She asks him to send it to the address she provides.